I must have done something right, look at this! In the Marketplace on the last day, who sold the most units…yes, that would be me! Every once in a while, as you know, you just need to spend on your OWN development. As a result I had signed up for the Cash Machine workshop, putting my hand in my wallet, and I couldn’t wait. Fortunately for for two guests who came along; they also got a whole lot out of it. 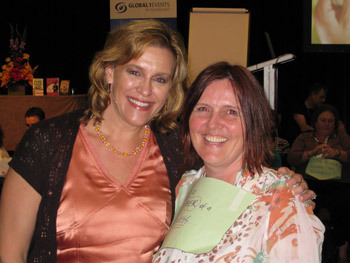 Why have I chose Loral over the many others that I have been introduced to previously? If you would like to know anything further, email me!